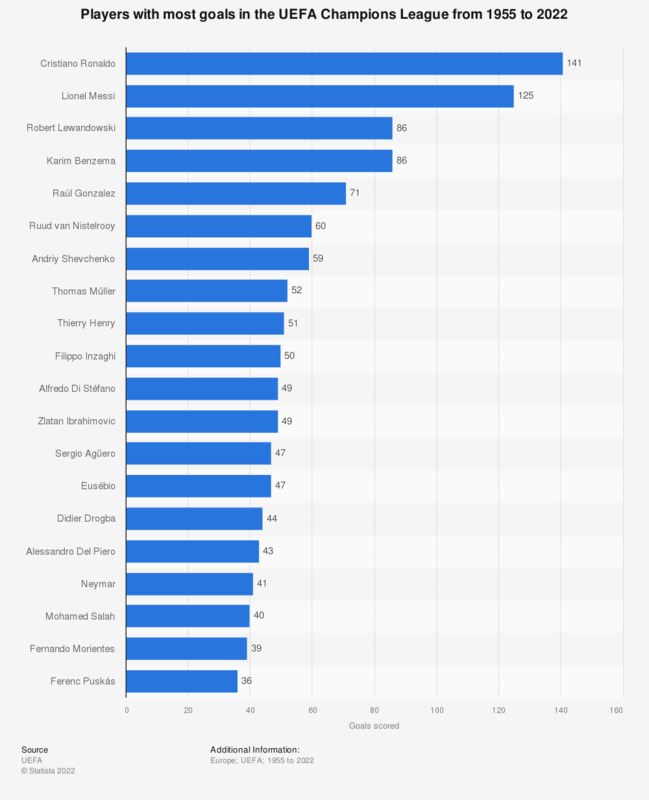 This statistic shows the soccer players with the most goals in the UEFA Champions League from its inaugural season in 1955 to 2018. Cristiano Ronaldo tops the list with 122 goals in the competition. * From 1955 to 1992 the competition was known as the European Champion Clubs' Cup or the European Cup. Information valid as of December, 2018. Is there any food you don't eat because you don't like it?